Adocu another online tools that you can update your status and let your friends know what you’re doing now. The service is very simple. It allows you to post your status which must be one word, long or short, without space. They called it nano-blogging. You must register to post. Registration takes only few seconds. This service seemed to be launched before it was ready because there is no other way to update the status, IM bot and API. But it is still in beta. Waiting for improvement. 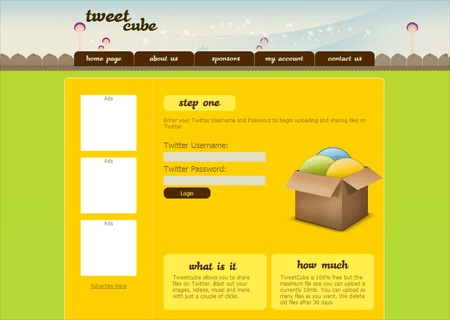 Tweet Cube is the free file sharing service for twitter that you can upload as images, videos, audios and other files as you want and share with your followers on twitter. Maximum upload size is 10MB and old files you uploaded in Tweet Cube will be deleted after 30 days. There is similar service called twit+ but it doesn’t store your files. 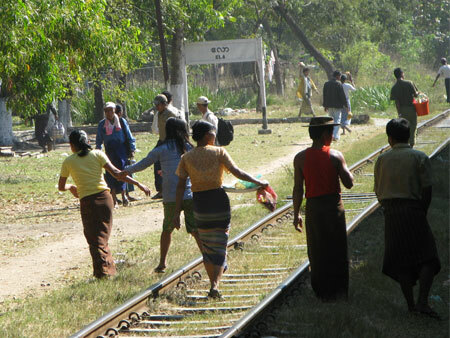 This photo was taken while the train stopped when I went back to Mandalay by train. Those vendor are selling regional food and some drinks while the trains stopped. This place is called Ela where it is very close to Nay Pyi Daw, the new capital of Myanmar (Burma). I’ve been blogging using wordpress for more than a year now. I noticed that I didn’t test too many plugins that appeared every weeks from Weblog Tools Collection and other blog sites which are related to WordPress. Here I have make a list of plugins which are currently using for my site and really useful for me. Add Meta Tags, This plugin automatically adds Description and Keywords META tags to your site. While browsing particular post or page, it generates summary of your blog post as Description and categories as keywords. With Adsense-Deluxe you can embed Google Adsense ads script code inside your post because WordPress tinyMCE doesn’t allow you to put script! Akismet, a built-in plugin that prevents from spam comments. You need to have wordpress.com API key to use. Feedsmith, this plugin automatically redirects from your blog feed link to your feedburner link so you don’t miss RSS subscribers. Full Text feed, that can prevent from showing Read more in your feed. Google XML Sitemap, this plugin generates sitemap xml of your wordperss blog which is sitemaps.org compatible. It can notify your site changes to Google, Ask, Yahoo and MSN Search whenever you update or publish new entries in your blog. Subscribe to Comment allows your visitor to receive email notification of new comments by email that are posted on an entry. So they’ll come back again! Wp-Cache, this plugin stores your dynamic page as static page and shows your visitors requested from the file instead of loading the dynamic page from database. That makes more improvement in response of your site. WordPress implemented tags feature since wordpress 2.3 came out. Wp 2.3 Related Post plugin generate the list of related posts from tags of your blog posts. Which plugins do you use? Please share your experience with it. I want to hear from you. Fan of Google Reader? You can read Google Reader on your destkop with ReadAir. ReadAir runs on Adobe AIR so that you need Adobe AIR before you install it. I felt sad now after look up this album from Picasa. I thought that those death people are unaware of their faith. Album contains 146 photos of natural calamity and death photos by Nargis cyclone in Myanmar. Some photos might be disturbing for some viewers. p.s: I really don’t know who took those photos and where those was taken. 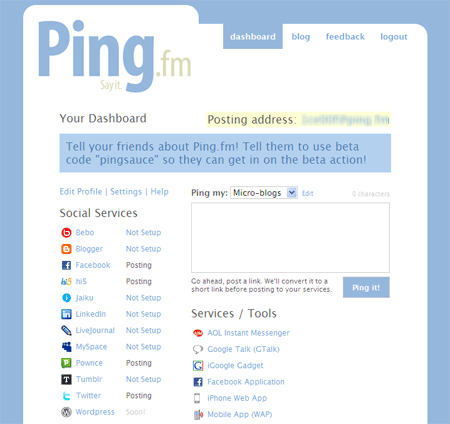 Ping.fm a ping update service that lets you to update your status of your social network profiles, Blogging services and Micro blogging services from a one place. Services available in ping.fm such as Facebook, hi5, LinkedIn, Myspace, Bebo, Twitter, Pownce, Tumblr, Jaiku, Blogger and LiveJournal (WordPress will be come out soon). You can also post via like Gtalk, AOL, iGoogle, Facebook app, iPhone and Mobile App. Tired of updating your all of your status? Try ping.fm. Though it is in private beta invitation, you can signup by using beta code “pingsauce” (remove quote) to get access. YANGON (Reuters) – Myanmar’s junta has given the U.S. military permission to fly in relief supplies for the survivors of Cyclone Nargis, Thai Supreme Commander Boonsrang Niumpradit told Reuters on Thursday. “We have helped the Americans to talk to the Myanmar government to allow U.S. planes participating in Cobra Gold to fly humanitarian aid to Myanmar. They just agreed,” he said, referring to joint U.S.-Thai military exercises. 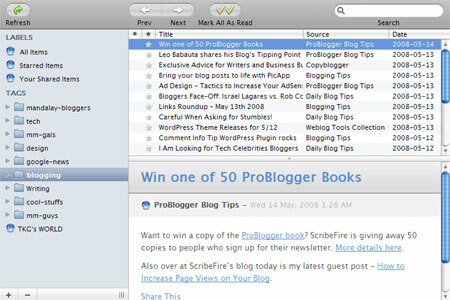 Page2RSS can create the feeds from any web page where it does not offer RSS feeds. So that you can keep tracking the latest updates from your reader. Feeds include the new content and the links. The death toll from the cyclone that ravaged the Irrawaddy delta in Myanmar may exceed 100,000, the senior U.S. diplomat in the military-ruled country says.